A Magistrate Court, Makurdi, Benue State on Friday, arraigned a 72-year-old man, Mr Emmanuel Ugba for allegedly beating up two police officers. The duo, Sgts. Shange and Joy Abah, had on the 1st of July, 2017 served Ugba a warrant of arrest but in a bid to resist arrest, he beats up the policemen. The prosecutor, Inspector Michael Iorundu, told the court that the accused obtained N60,000 from one Mr Bem Tiga of Agber Village, Makurdi under the pretense of leasing a piece of land to him. 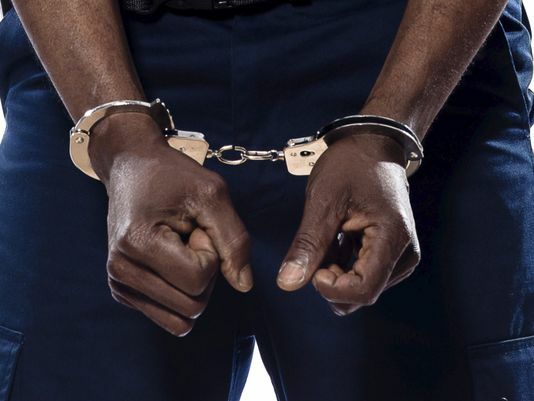 However, the accused could not provide the land he collected money for, prompting Tiga to report the transaction to the police at ‘B’ Division Police Station, Makurdi. He said on investigation, the police found that the land on New Otukpo road; Makurdi was a subject of litigation.. The prosecutor said two police officers Sgt. Shange and Sgt. Abah went to the accused and invited him to the police station. “My Lord, the accused turned down the invitation and requested the officers to serve him a warrant. “The officers returned to the accused with the warrant and instead of accepting the warrant, the accused beat the two police officers,” he said. Prosecution informed court that investigation into the matter had been concluded and asked the court for another date to enable it call witnesses. The Magistrate, Mrs Felicia Ikyegh, however, granted the accused bail in the sum of N30,000 and a surety in the same amount. Ikyegh adjourned the matter till Aug. 29, for hearing.